Keen for some extra sessions? No worries at all! Not a Rapids member? 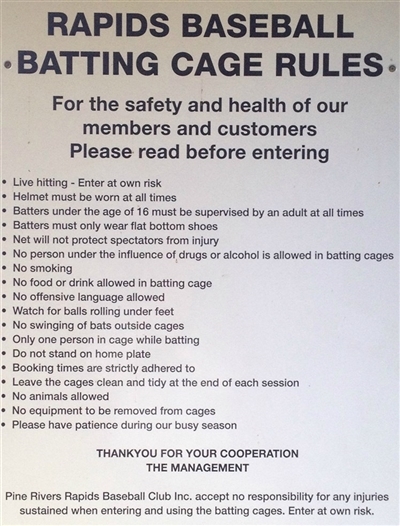 Our batting cages are available to hire by external groups for regular batting practice or one-off bookings. Our casual rates, for non members, are $25/hour, with a one hour minimum booking. 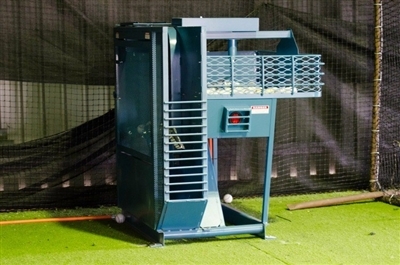 We welcome you to please contact our President, Dean Shore, president@rapidsbaseball.com.au to discuss your specific requirements. If you would like to make a booking, please contact our Batting Cage Manager, Sherie Hogan on 0414 447 753.